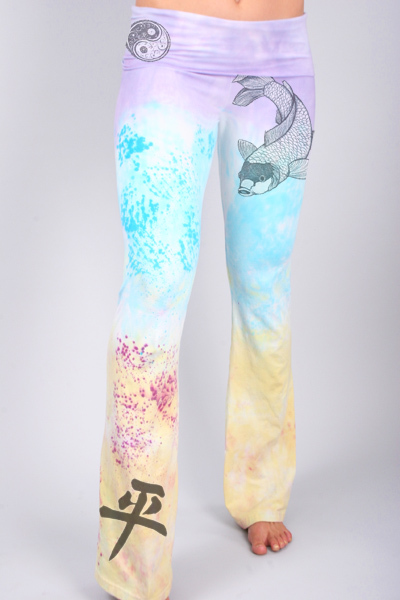 Limited run one of a kind yoga bottoms made of an organic cotton/spandex blend embellished with original koi fish, tree of life, kanji and yin yang art pieces. Remember, you can always create your very own from scratch in our DYO section. We make the process super simple and quick! The pastel colors on these turned out exactly as I wanted! The tree on the back cheek looks like a pocket. The chinese theme is divided as nicely as the pants are! 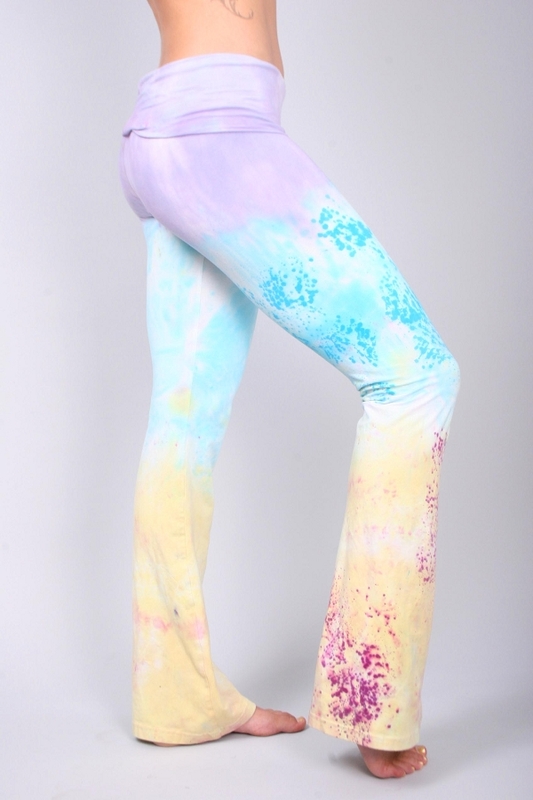 Wasn't planning on the brighter/bolder splotches of color but I like my pants even more for it! I've purchased two more pairs since this one! !